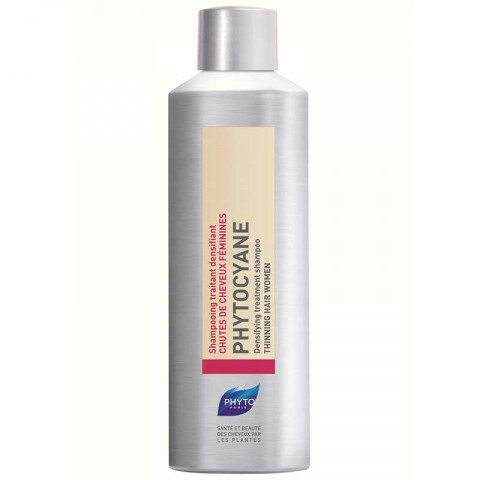 A treatment shampoo for temporary thinning due to seasonal changes, hormonal imbalance, diet, or medication. Stimulates microcirculation on the scalp. Encourages keratin production to improve thickness of the hair. Wet hair, lather shampoo and rinse after 2-3 minutes. Rinse thoroughly. Repeat. Use daily. great shampoo for mature scalps. got this for my mom and she noticed a difference in the density of her hair after using it for a month. recommend it! I love this product! Since I use this product, I no longer have dry hair. It makes my hair smooth and stay healthy. I rarely have overworked hair whenever using this shampoo. For anyone doubting whether this shampoo works: it does but be patient. I have been using this shampoo for about three months now. The first month and a half I was very disappointed as it did nothing for my hair fall. But I continued using it and I'm glad I did! I barely shed anymore!!! It also leaves me hair soft and my scalp hydrated. I used to have super flaky, dry scalp, but that's long gone. I do agree with other that you need to wash your hair twice each time for it to clean your hair properly. I use this shampoo along with Bumble and Bumbles Sunday shampoo (first wash). This combination does wonders for my hair and I don't even need to use conditioner!